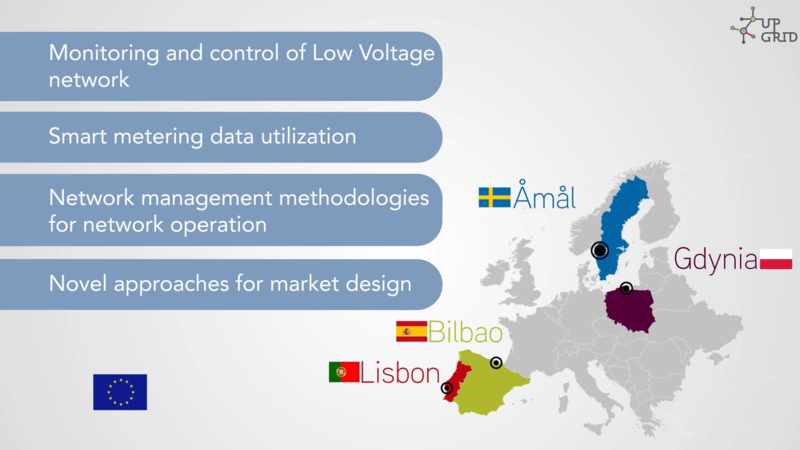 The goal was achieved: four smart grids demonstrators were set in Europe until 2017: Bilbao (Spain), Lisbon (Portugal), Åmål (Sweden) and Gdynia (Poland). 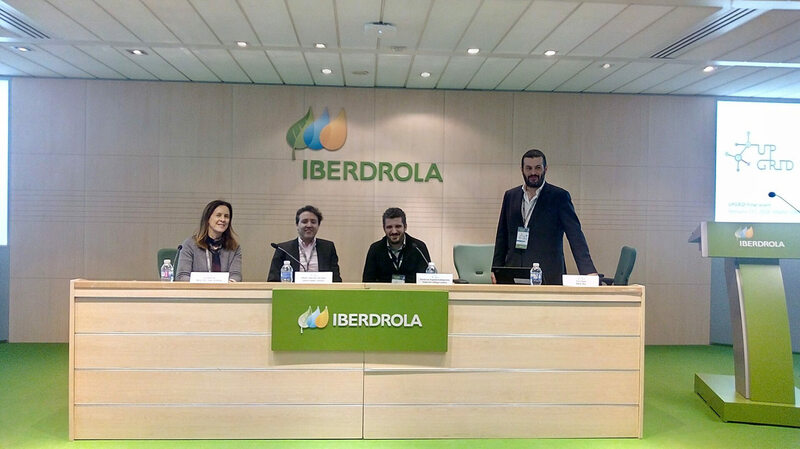 Three years later, the European project UPGRID ended and the final event was held on 21 February at Iberdrola headquarters in Madrid. 150 people attended the event to asset the final results of the consortium that set up four smart grids demonstrators in Europe. More than 20 speakers presented and discussed the main results and the solutions that need further investigation. About 150 people participated in the discussion. The session began around 9 a.m. with a welcoming speech by José Oriol Hoyos from Iberdrola Distribución. Miguel Ángel Sánchez Forniér from University of Comillas and former Director of Controls Systems and Telecommunications at Iberdrola discussed the subject of power grids. Forniér spoke about the importance of having an integrated European vision that gathers all the stakeholders in a structured roadmap. Mark McGranaghan, Vice President of Electric Power Research Institute (EPRI) addressed the main challenges of an integrated grid. The consumers' role to the existence of an integrated energy network with a 100% renewable basis, where each consumer is part of the solution and where advanced energy communities are created, were some of the challenges mentioned by the EPRI member. Mark McGranagham also highlighted the need for new policies, market models and legislation in this field. Eduardo Garcia Quincoces (Tecnalia) was the moderator of the first session, which was attended by Ana González Bordagaray (Iberdrola) and representatives of General Eletric, ZIV and EVE who presented LV network management system developed within the framework of UPGRID to Iberdrola Distribución. The Spanish demonstrator, which was carried out in Bilbao, has involved more than 300 thousand consumers, 2,150 secondary substations and more than 6,500 LV lines. Specific software modules were developed to help detect, amend and anticipate events in the integrated grid, which were reproduced in other areas of Spain. Other tools were also developed in order to increase residential consumers’ awareness for a more efficient use of energy. There has been a significant expansion in LV incident management efficiency. From 583 events registered in low voltage, 52 were managed by mobile tool that was developed in this project. Furthermore, LV incident identification became 36 times faster, efficiency on service restoration increased 16 times, incident reporting became 32% more accurate and grid crew displacement was avoided by 40%. The second half of the session was dedicated to the Portuguese demonstrator. Pedro Godinho Matos (EDP Distribuição) presented the Portuguese demonstration area, based in Parque das Nações (Lisbon). This demo involved 2 substations, 140 secondary substations, 13 thousand consumers, 17 EV public charging stations and 7, 300 street lighting. Then, it was presented the impact of UPGRID functionalities on Portuguese demonstrator in five areas: smart consumers (e.g. creating a web portal where consumers can see their HEMS), DER integration (pioneering integration of public lighting as a flexible distributed energy resource), network operations (e.g. innovative automatic voltage control prototype deployed), network planning (e.g. automatic feeder mapping prototype based on smart grid assets) and market design (e.g. development of a Market Hub platform that connects DSO and consumers through market agents). Luís Seca (INESC TEC), Marijn Van Overveld (NOS), António Oliveira (Withus) and Rita Pires (EDP Distribuição) of the Portuguese demonstrator attended this panel discussion in order to build on the achievements made and to explore new possibilities. The session was followed by the presentation of the Swedish demonstrator, which is located in a rural part of Åmål, has involved 15 secondary substations, 4 MV overhead lines, 9 line sensors and 534 consumers. It was presented by Nicholas Etherden (Vattenfall). Until now, 50% to 90% of the grid was not monitored however with UPGRID solutions there are more equipment to notify. The incidents found in low voltage outage were only known after consumers’ contact. 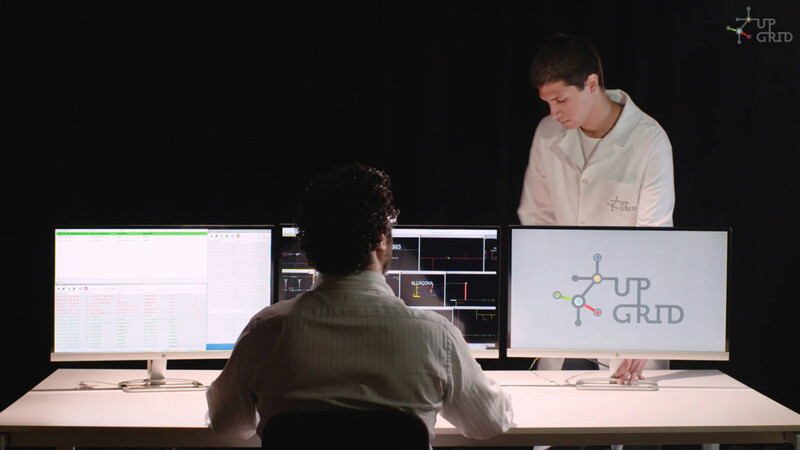 UPGRID solutions provide operators new methods of monitoring and real-time information. If in the past, the information recorded on meters wasn’t used to operate and control the grid, now the grid status and the quality of supply can be supported by the information that is sent to these devices. The representatives of General Electric, Schneider Electric and Powel participated in the discussion of Swedish demonstrator. Finally, the Polish demonstrator, which is located in the city of Gdynia, has involved 14, 700 consumers, 55 secondary substations, 38 km MV lines (underground cable) and 102 km of LV lines. Slawomir Noske (Energa Operator) presented this session that has presented the main results of the Polish demonstrator. The main achievements are focused on the creation of grid infrastructure with prototypes that are capable of monitoring and controlling secondary substations, electrical parameters in LV cable cabinets and micro-generation installation. The prototypes deployed ICT solutions (information and communication technology), such as distribution management system for LV network, field crew support, among others. Dominik Bochenski (Atende Software), Aleksander Babs (The Institute of Power Engineering) and Jacek Klucznik (Gdansk University of Technology) had also participated in this panel discussion. Luís Seca, head of INESC TEC’s Centre for Power and Energy Systems (CPES) hold the debate of session 2. Dimitrios Papadaskalopoulos (Imperial College London) was the first speaker of the session and he discussed the market and business framework for rolling out UPGRID innovative concepts. Dimitros warned against market barriers and regulation, spoke about risks, made recommendations, and advised on the importance of a closer coordination between DSO and TSO. Álvaro Sánchez Miralles (University of Comillas) who addressed monitoring and impact assessment of project demonstrators, from the point of view of including smart consumers, DER, grid operations, planning and managing assets, followed the session. Finally, Lia Patrício, researcher for INESC TEC’s Centre for Industrial Engineering and Management (CEGI) and professor at the Faculty of Engineering of University of Porto (FEUP), addressed the identity of stakeholders made and investigation in the field of social sciences. It was proved that most consumers would like to know their consumption better by using smart technology. In this regard, consumers were provided measuring instruments that allows them to raise awareness and interest about the use of electricity. The consumers were genuinely interested in understanding the needs of their involvement in the smart power grids and market. Goran Strbac (Imperial College London) led the third and last session of the event. He has presented a cost- benefit analysis developed for UPGRID and stressed the importance of the consumers’ involvement, distributed generation and energy storage in future network management. Jorge Esteves (ERSE Portugal), Manuel Weindorf (GE), Nicholas Etherden (Vattenfall) and Tomás Gómez San Román (IIT Comillas) participated as speakers in the panel. María Luisa Revilla of Energy Committee Programme Horizon 2020 closed the session.